Fratepietro’s Bella di Cerignola Black Olives have a soft texture and a slight sweetness. They might be the perfect crowd-pleasing olive, with their elegant and deeply satisfying umami taste. But they still manage to be mild enough so that even those who claim not to be wild about olives like them. One taste of these olives and we’re sure they’ll be hooked; the firm meaty flesh separates easily from the pit, giving each bite a totally satisfying mouthfeel. The Fratepietro family is the only farm in Italy that handles the whole Bella di Cerignola Olive production process: from pruning the olive trees, to harvesting, to packaging, and to selling the olives. That means that the people responsible for growing the olives are the same people responsible for putting them in jars, you can't get any better than that! 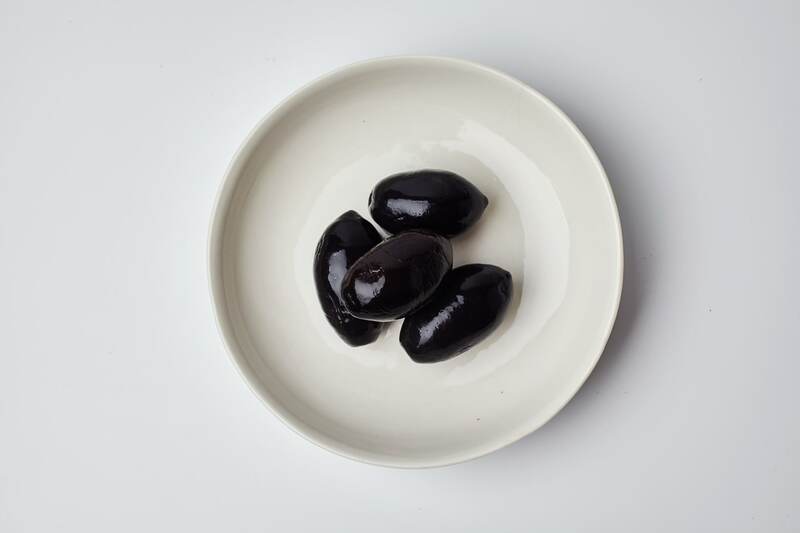 So what makes a black olive black? The black olives are those that are riper and darker at the time of harvest. Fratepietro separates the darker olives from the greener olives and soaks them in a brine made with local salt from the nearby Margherita di Savoia nature preserve for 40-60 days. They are washed many times in a soda wash to take away any trace of bitterness. They are oxidized by being left in water, in strong jet streams of air for 5 days; this turns them black. Then, at the end, a very small amount of iron (15mg/kilo) is added to stabilize the color. This amount is much lower than the quantity used by conventional olive producers, who dye the olives black using around 150mg/kilo of iron, the highest quantity permitted by law; these higher quantities can cause dangerous side effects! Then, at the end, a very small amount of iron much more LESS THAN 150 mg/kilo (the highest quantity permitted by law) is added to stabilize the color. THE AMOUNT OF THIS COLOUR stabilizing agent in Fratepietro black olives is lower than the quantity used by conventional olive producers, higher quantities can cause dangerous side effects! Bella di Cerignola Olives - Read the Label - Too Much Iron, No Good.